With a new single due this month and a new album in September, Nick Cave wants you to keep his Grinderman project at the front of your mind. That's why, in addition to the new releases, he's lined up a massive world tour. The run of dates kicks off in Nottingham, UK on September 25. From there, the band will travel around Europe for an entire month. Then, in November, they'll kick off a North American jaunt. That leg of the tour includes Canadian stops in Toronto, Montreal and Vancouver. 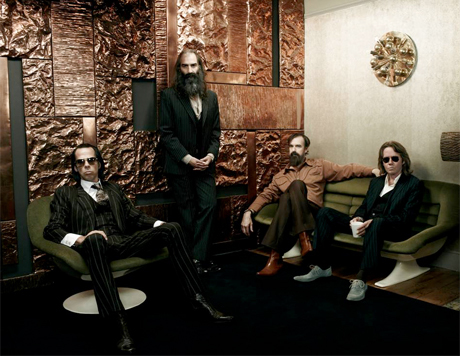 Keep an eye out for Grinderman's "Heathen Child" single on August 31, followed by Grinderman 2 on September 14. Both releases will come via Anti- in North America.